Many of us underestimate or do not consider how much time we actually have to let our investment portfolios compound. Focusing on how long we expect an investment portfolio to be invested adds a critical element to how we should think about our investment decision making – if we have several decades remaining in our investing lifetimes, we should make decisions that use this extended time horizon to maximum advantage. If our investing goals are portfolio value maximization (rather than income, lifestyle, passivity, or other credible alternatives), our focus must be on maximizing opportunity cost. A common mistake when considering opportunity cost is that we often only consider presently available investing options. In the pursuit of portfolio value maximization, an investor must always consider future investment opportunities that may not become available for years but are excluded by today’s investment decisions. Investors as a group are generally predisposed to choose being active, rather than patient. Social or professional incentives prioritize ‘doing something’ over ‘doing nothing’ and sitting idle can be difficult when surrounded by activity, especially successful investing activity. Considering the difficulty in practicing patience, one must understand why patience is critical in the pursuit of portfolio maximization, as well as in the proper evaluation of opportunity cost. Consider Table 1 below. It depicts the results of a portfolio invested at different rates of return over a 20-year investment period. An obvious and striking difference is that although they all end up in roughly the same place, the idle period sustained in the higher-return portfolios can last a decade or more! A key takeaway from this analysis is identifying how long into the future one must consider the potential investment set when evaluating opportunity cost. Consider how much has changed in your life over the last decade, how volatile the markets have been, and how many investment opportunities you have considered. Thinking over these extended time periods drives the point of how much movement and volatility occurs, and how much investment opportunity arises. 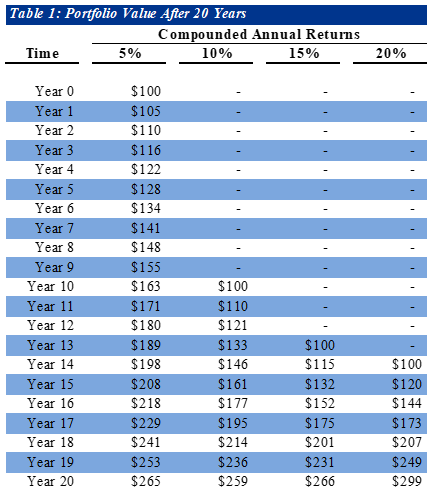 Table 1 shows approximately the break-even analysis, should an investor wait 10 years to find a 10% compounded return, or 14 years to find a 20% investment. When considering the volatility over that time, the sheer volume of investment ideas that can be analyzed, and the work that can be accomplished refining investing skill and acumen, it is compelling that an investor is likely to find enhanced-return opportunities long before the closure of that break-even window. If this proves to be the case, the investor will come out well ahead at the end of the investment period. No doubt this strategy is a difficult one. It is extremely challenging to think that far in the future, and even more difficult to maintain the strategy as the idle time goes on. There is also the requirement that the investor is correct in their analysis when committing to an investment, and that enhanced-return opportunities will be acted upon. This relates directly to Buffet’s ‘fat-pitch’ philosophy, where only investments with easy analysis, low downside and large upside, and clear paths to investment returns are made. Easier said than done. This strategy also requires immense selectivity and portfolio concentration, which are not always comfortable strategies for portfolio construction. Selectivity is required in that few investment opportunities will meet the criteria of easily-understood and excellent probability weighted returns, and portfolio concentration in that qualifying ideas are rare, and must be acted upon in scale when identified. Boredom of idleness is the enemy of this investment philosophy as there is no countdown determining the end of the idle window. The natural inclination to be active must be channeled into constant evaluation of investment opportunities, refining of investment knowledge, and enjoyment of the never-ending search process. Investing decisions must be limited only to a qualifying opportunity, and this instinctual need for activity must be satisfied through the process of analysis and search itself. The ability to sit and do nothing for extended periods is not easy, but the math is indisputable. Forgoing one opportunity for a better one, even if years are spent in idleness, is a key consideration to maximized portfolio value over time. Exercising extreme patience, high thresholds for investment consideration, and active contemplation of future opportunity cost is an important path to truly maximized portfolio value. Allocating investment capital based on the understanding of these concepts is undoubtedly difficult, but if you abide by their principles, your future self will be glad you did. Jacob D. Chase is co-owner and Managing Partner of DRG and has had a relationship with Mr. Kobilca for over 15 years. Mr. Chase currently serves in a financial and operational role at DRG, overseeing and refining the property management operations and customer relationships of the business. Previously, Mr. Chase has spent most of his career as an investor, hedge fund analyst, and investment banker. Mr. Chase’s career includes seven years of experience with Angelo, Gordon & Co. in New York City and in London. As a Director in the Distressed Debt group at Angelo, Gordon & Co., Mr. Chase has led investments of over $750 million in distressed credit opportunities that have generated over $100 million in profit. Prior to his more recent roles, during the height of the financial crisis Mr. Chase worked for two years in Chicago as a restructuring advisor for Lazard Frères & Co. Mr. Chase graduated in 2007 from the Daniels College of Business at the University of Denver with a BA in Finance and a minor in Marketing. The team at DRG is top notch, across the board. It’s what makes me excited to come to work every day – building the company and careers together, overcoming operational and business challenges as a team, and generally making our small, but growing, mark on the world. Couldn’t imagine doing it with any other group of people!